On January 9, 2013 my childhood friend Stephen Harkness and two other men murdered and dismembered Daniel Delfin in Verona, Kentucky. This murder affected me personally and brought many questions to mind about how murder in general affects both the family of the victim and the perpetrator. 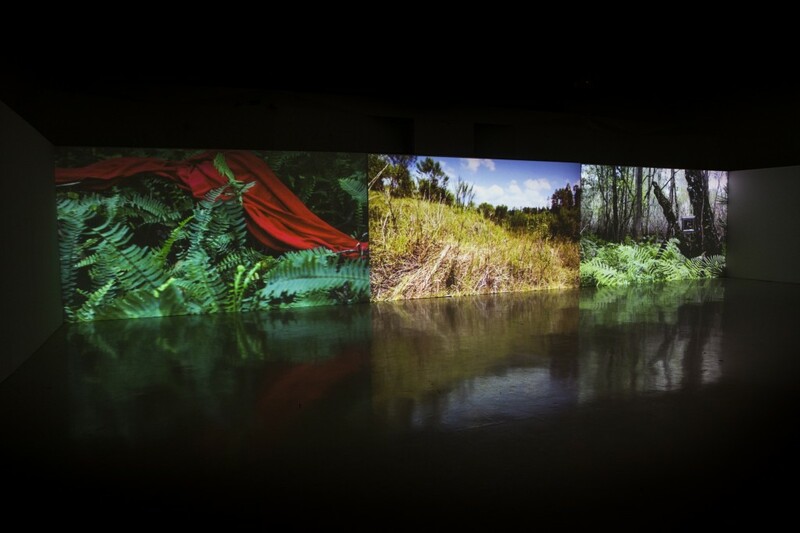 Confound Acts, is a three channel synced video projection that features anonymous yet beautiful nature footage. The metaphorical symbols of a red sheet and white plastic bag serve as reminders for the violent act that occurred, while the woods stand as a witness to this violent crime. The audio for this piece is an interview of a family member and courtroom audio. Through the analysis of childhood memories as well as court evidence, I aim to gain clarity in these acts as well as relay the effects this type of event can have on the families involved, who in turn become victims themselves.